Even as the Velvet Underground has graduated from cult favorite to part of the '60s canon, guitarist Sterling Morrison has largely faded from public view. Twenty years after an early death from lymphoma at 53, Sterling Morrison and his contribution to the Velvet Underground remain enigmatic. Part of the reason is that Morrison lacked an easy musical identity that could be fit within the group's imposing mythos. He was not the genius songwriter and feedback maestro Lou Reed, the avant-garde drone king John Cale, the androgynous caveman-percussionist Maureen Tucker, or the versatile but conventional "Judas" Doug Yule (an unfair but enduring characterization of Cale's replacement). Instead he was just the other guitar player, who sometimes covered bass when Cale was busy doing more important things on viola. Caught between a self-effacing personality -- he had no solo career and during the group's ill-fated reunion tour in 1993 turned over his most famous solo on "Pale Blue Eyes" to Cale -- and the lazy habit of critics, abetted by Lou Reed's insecurity and ego, of attributing any guitar greatness to the band's leader, Morrison has largely faded from public view, even as the Velvets have graduated from cult favorites to part of the '60s canon. It doesn't help matters that people who write about popular music tend to focus on questions of social impact rather than musical style. Morrison may have been a twee legend as a medieval studies PhD and a tugboat captain, but he lacks the gender-bending or confrontational cred of macho-glam Reed, proto-Riot Grrrl Tucker and gas-masked Cale. In an era where groups matter less and less, figuring out what two people in a band who play the same instrument do that sets them apart is mostly an afterthought, evidenced by the fact that professional critics frequently make whopping errors of attribution. I am hardly innocent in this regard. It was only after 15 years of obsessive listening to the Velvet Underground that I even bothered to ask a few years ago, "what exactly is Sterling Morrison's style and how is it different from Lou Reed's?" The question was prompted after a move to Austin, Morrison's home for many years, which got me thinking about the guitarist and led me to give a close listen to his one great post-Velvet Underground appearance: an extended guest solo on Luna's "Friendly Advice" from 1994. Something about it sounded so familiar and yet so different from Reed's solo work. To get a sense of what Morrison brings to the Velvet Underground, a great starting place is "I'm Waiting for the Man". This song fully anticipates the twin guitar dynamic that would blossom on the material from 1969: The Velvet Underground, the aborted (or "lost") fourth MGM album sessions recorded shortly afterwards (eventually released in the '80s across the VU and Another VU), and the Live 1969 double album. That's Reed chugging away, creating an almost percussive and slightly irregular rhythm with his guitar chords, while Morrison plays a sinewy slide-line up and down a blues scale in an endless loop. Those clean single-note runs, almost robotically in time, and always generous with the slides, are the Morrison signature. They are all over the group's 1969 recordings; notably "Pale Blue Eyes", "Lisa Says" and, most spectacularly, the extended solo breaks on "Foggy Notion", a mind-blowing blend of Morrison's fast flights and Reed's expressive rhythm playing. Contrast Reed, whose solos are all about shifts between stretching out single fuzzed-out notes and jagged runs that are intentionally just ahead or behind the beat. That's the lead-guitar style that dominates the Cale-era albums: "Run Run Run", "All Tomorrow's Parties", "I Heard Her Call My Name" and, on The Velvet Underground, a rare but textbook appearance in "What Goes On". Reed's leads in a sense are a logical extension of his erratic rhythm playing (the two practically merge on "European Son"), just as the metronymic precision of Morrison's up and down chord-strokes ape his hyperactive but beat-regular solos (check out the implacable jackhammer he provides in the midst of "Sister Ray"'s chaos). Once I got a handle on what Morrison did in the Velvet Underground, I realized that its implications were both important and under-appreciated for understanding why the group's sound changed so much both before and after their third self-titled album, reissued this year to mark its 45th anniversary. Put simply, after John Cale was fired in late 1968 following two albums, Sterling Morrison, as is rarely acknowledged, replaced him as the group's co-lead instrumentalist and became, in the course of 1969, a frequent soloist, a change that affected the Velvets' sound just as much as Cale's departure, Yule's arrival, or Reed's focus on quieter material. By the same token, his largely passive role in the recording of the follow-up Loaded, when Morrison was busy trying to finish his bachelor's degree and mainly showed up to phone in rhythm tracks, opened up a vacuum filled by Doug Yule, who in the studio became the group's new melodic leader and chief arranger, a shift as profound if more subtle than the obvious departure of Maureen Tucker, pregnant during the sessions and replaced by several conventional rock drummers (including Yule and his brother). Sterling always wound up with the more organized breaks while Lou favored the longer, louder, raunchier ones. He had a brilliant sense of melody but an imperfect instrument. Sterling seemed to be just the opposite, more a process of technique that lacked a soaring vision. Yule later mentions Mickey Baker's influence in David Ficke's liner notes to the Velvet Underground 45th Anniversary Reissue as well. In a word, Morrison noodled, as epitomized in his solo for Luna's "Friendly Advice", which is in a big rush to get nowhere in particular, but endlessly charming nonetheless. It was not as revolutionary a style as the Cale drone or Reed's seizure-like free jazz, but among so much aggressive minimalism it gave the group a surprisingly earthy grounding, keeping it a rock band and not an art project. Moreover, with the self-titled album, Morrison anticipated a whole genre of meandering indie guitar, not so much reinventing how to play the instrument as showing the possibilities of putting a traditional rock approach into a hushed environment. It was also a style that meshed beautifully with Reed's adventurous rhythm playing. Listening to The Velvet Underground, the VU / Another VU material, and the Live 1969 records for any fan of twin-guitar rock is simply magical. Ironically, one reason Morrison's contribution may be so misunderstood is the degree to which both he and Reed blended together perfectly as a signature unit, one whose cohesion and dynamism Reed, despite playing with several talented partners during his solo career, was never able to match. Contrast Loaded: Yule, in the interview with Mercuri, goes on to describe at length who played what on the group's troubled fourth album and its copious outtakes, revealing that many of the record's most famous licks (the guitar breaks on "Rock & Roll", the beautiful extended solo on "Oh! Sweet Nuthin'") were actually his ("Sterling was marginalized and the whole thing turned into the Lou/Steve [Sesnick, producer]/Doug album"). Ironically, these are some of the few bits that Morrison often gets credit for playing. The former is down to the fact that Morrison got stuck replicating Yule's breaks during the 1993 reunion tour, on one of the few songs where he also took a solo; it should have been a giveaway that the 1969 versions of the song lack these parts. In the latter case, the "Oh! Sweet Nuthin'" solo superficially sounds like what one might expect from Morrison, or at least is just so clearly not Lou Reed: it's bluesy, full of fast runs and sticks to time. But Yule's playing is bluesy in the FM-radio sense of a polished Allman Brothers track, professional and expertly planned, whereas a Morrison solo (like on "Foggy Notion") is all giddy id and early rock twang. The point is not to knock Yule, but instead to emphasize the degree to which Morrison's reduced presence on Loaded led to a very different sound. Loaded is the group's "commercial" record not just because of its self-conscious pop songs (it was supposed to be "loaded" with hits), but especially because of the arrangements, which are, depending on one's perspective, either more polished or too "polished". But that change -- and the vast gulf between the sound of its tracks and the equally poppy VU / Another VU -- has as much to do with Yule's distinctive voice as a lead guitarist as it does with the introduction of a standard drum kit. Many things Yule did during the Loaded sessions, by the way, were lovely. Getting rid of Morrison's typically slinky lead-line on "Ocean" and adding his own cello arrangement made for the best version of that song and the last great Velvets studio number, an outtake whose high quality meant that the string arrangement was often erroneously attributed to viola work by Cale, who had returned briefly to play on a different and inferior version from the same sessions. (This is the version on disc one of the Loaded: Fully Loaded reissue and the Peel Slowly and See box-set. Morrison's revised part on the track is also lovely, while his original lead-line can be heard on the take with Cale on disc two of Fully Loaded, and the 1969 studio and live versions.) The takeaway here is that figuring out who plays what on a record is about identifying the kinds of parts a musician tends to play, rather than making a value judgment about who is sufficiently genius to have come up with a something you might admire. In this vein, Morrison as a guitarist has often been swallowed up by the myth of Lou Reed as a singular genius. Indeed, during the 1993 reunion tour Reed (and Cale) reduced Morrison to little more than a rhythm player, and even on the recent reissue of The Velvet Underground David Fricke still calls Reed "the group's lead guitarist". But if the self-titled Velvet Underground is an album as important and influential as its two predecessors -- as I think most people would argue that it is -- then it is also the strongest argument for Morrison's importance as a guitarist, since his style is so essential in shaping its distinctive sound. It may be Reed's and Cale's influence you hear on a Spaceman 3 record, but Morrison's ghost is the one that haunts bands like the Pastels. Moreover, the partnership between Reed and Morrison set a precedent for many of the great indie guitar-bands that followed: a two-man team, where a technically fluid but more straightforward player helped ground an experimental partner. 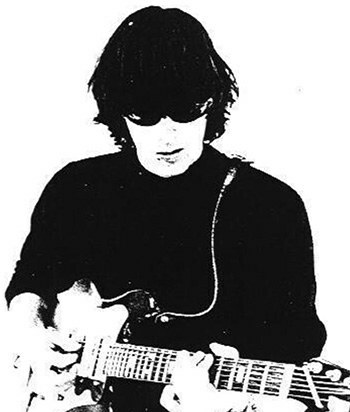 Reed, it turns out, was just one of three lead guitarists in the Velvet Underground, each of whom, along with Cale, set a different melodic stamp that helped all four of their albums achieve a distinctive personality and inspire their own respective sub-genres. After so many years listening to the Velvets, it's nice to realize just how many talents the group's sound depended on, and marvel at how the lineup changes between albums gave each member a space to redefine the group's sound.